Bib shorts are an integral part of every cyclist's outfit, and also one of the hardest things for a tall rider to find. The Zinn bib shorts are now available in big and tall sizes. For years our customers have been requesting cycling clothing that really fits. Well, now itÃ­s available in super high quality material made by Squadra. 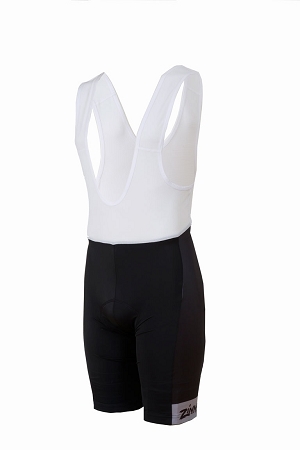 The fit of our bib shorts has been specially designed to fit large tall men, meaning longer legs and more room in the torso area. We have sizes to fit even the biggest guys. Squadra custom gear is handcrafted to the exact specs of Lennard Zinn's design to fit a longer body and height needed. The Zinn Squadra Big and Tall bib shorts provides maximum comfort for taller cyclists. The cut of the short offers enhanced freedom of movement with its STRATOS Ultra fabric and ergonomic seam construction. SQUADRA bib shorts have you looking great and feeling fast!